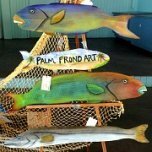 Our popular Cape Coral Farmers Market will delight your senses with colorful and tasty local produce, flowers, specialty foods, crafts, antiques, and live music. 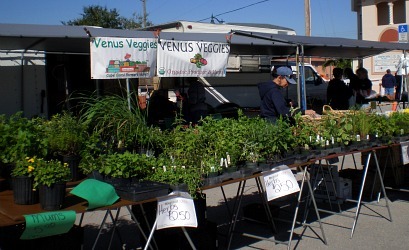 Located at Club Square behind Vineyard Community Church from October - May, this Cape Coral market is open every Saturday from 8AM-1PM. 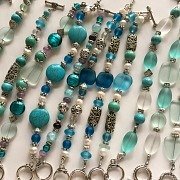 Think about doing your gift shopping at the market, you will find jewelry, woodcrafts, cutlery, handbags, dog treats, and soaps. 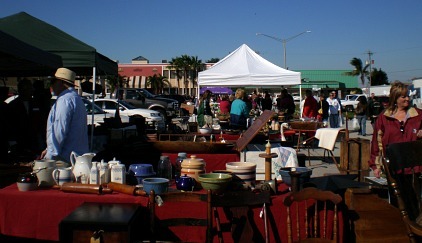 Antique vendors set up additional booths, on the first and third Saturdays of the month. There's plenty of food, so you can eat breakfast or lunch at the market while you shop. Fruits and veggies like luscious tomatoes, crisp green peppers, juicy mangoes, and humongous pomelos beckon you to buy and taste! 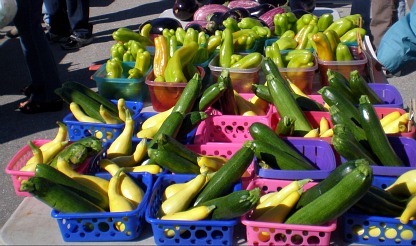 What I like about shopping at farmers markets is that prices are usually less than the supermarket, the produce has more flavor, and you're supporting local crafters and small businesses. 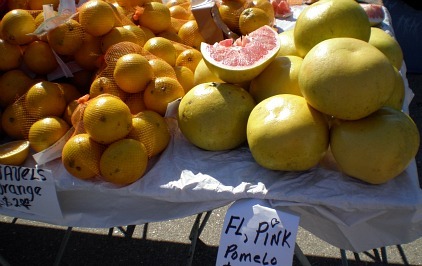 These pomelos are huge! They taste like grapefruits ......... this might be a great chance for you to try different tropical fruits you haven't eaten before. 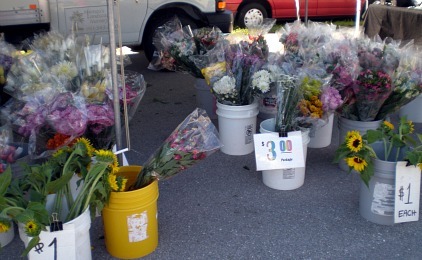 Decorate your home and garden with flowers, palms, bamboo, fruit trees, and tropical plants from local growers who really know what works best for Southwest Florida. 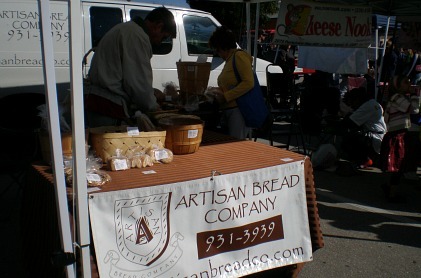 I also like to go to the market for specialty items like artisanal breads from the Artisan Bread Company. I'm crazy about Todd's olive bread ..... you've also got to try the pesto or tomato onion foccacia, ciabatta, baguettes, honey wheat, rye, multi grain, lavosh, semolina, polenta, sourdough, and hello ........ white chocolate bread! 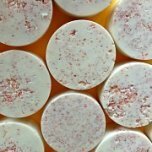 One of my favorite vendors is Paradise Handmade Soap Co, they make great gifts to take back north or for all those guests who will be coming to visit you. 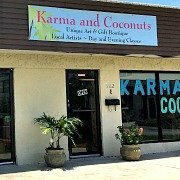 Karrie makes her handcrafted soaps the old fashioned way from extra virgin olive oil or coconut, apricot kernel, pomegranate, avocado, and aloe vera oils ...... or cocoa and shea butter. 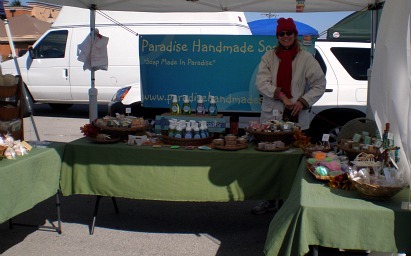 She sells bar soaps, glycerine, liquid, foaming, as well as lotions, lip balms, bath fizzies, accessories, and candles. 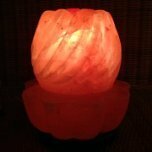 I've been making my own soaps, salt scrubs, and whipped body butters, and started selling them at the Yacht Club Beach Sunset Celebration. 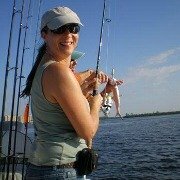 Check out my stuff ....... my new business is called Coastal Island Creations! While you're shopping, grab a donut or bagel and coffee ....... smoothies, cheeses, nuts, jams, sauces, honey, teas, spices, soups, fresh pasta, clams, seafood, more breads and baked goods are available for purchase. 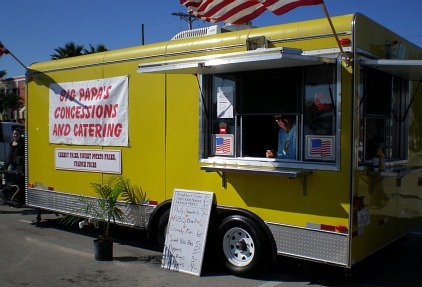 Or, go to Big Papa's for menu items like Chicken Tenders, BBQ Beef, Crunchy Fish, and Sweet Potato Fries. I like to go when the antique dealers are there ........... it reminds me of where I'm from in Connecticut. 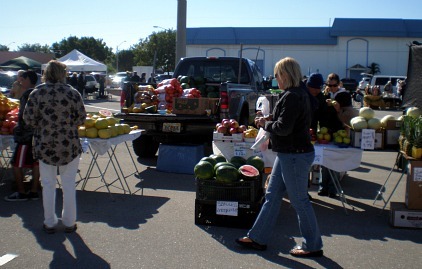 You can't beat the quality and freshness of local produce markets, so come on down to the Cape Coral Farmers Market ...... bring your friends and make new friends! 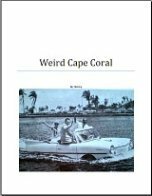 From May - October, the market moves over to Cape Harbour.